Providing the Kansas City, Omaha, and St Louis areas with the finest beef, pork, poultry, lamb, and veal products for our growing customer base has been Mies Family Foods’ priority since 1968. Over the years, our commitment to customer satisfaction has been the driving factor of our success. Today, Mies Family Foods is a full-service distributor of fresh and frozen beef, pork, poultry, lamb, and veal along with a wide variety of foodservice products. 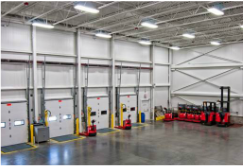 Our new home is a modern, state-of-the- art, fully refrigerated and federally inspected warehouse and distribution facility. Our warehouse was built to allow Mies Family Foods to continue to provide superior customer service to a varied customer base of wholesale, retail, and foodservice companies in the central Midwest. Mies Family Foods is a full service distributor of fresh and frozen beef, pork, poultry, lamb and veal along with a wide variety of foodservice products. Our inventory of products allows us to provide our customers with the products they want, when they want them. To learn more please click on our products tab. We are conveniently located in North Kansas City, MO. Our centrally located facility provides us the opportunity to service customers in the Kansas City metro area along with multiple other Midwest locations. Please visit our Contact Us page for more details.